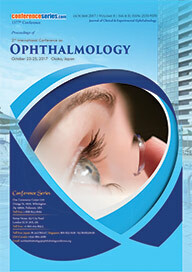 Ophthalmology is the branch of medicine that deals with the anatomy, physiology and diseases of the eye. All evaluations that purport to diagnose eye disease should be carried out by a physician. An ophthalmologist is a doctor of medicine who specializes in the diagnosis and treatment of disorders of the eye, in addition to diagnosing systemic disease that manifest in eye signs or symptoms. Clinical Ophthalmology will enhance your knowledge of common ocular diseases, ophthalmic surgical and laser procedures, clinical anatomy and ocular therapeutics. You will develop analytical skills for solving clinical case problems and evaluating published research, and gain valuable research experience through the opportunity. 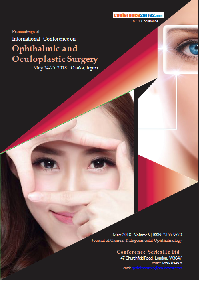 Oculoplastic surgery largely consists of traditional approaches to many of the encountered diseases. Our specialty has well-established methods for most surgeries and we use our good old fashioned surgical instruments, but advances are continuously being made to improve patient outcomes while at the same time abiding by sound surgical and medical principles according to anatomy. These advances are made in both surgical and non-surgical approaches to functional and aesthetic oculoplastic surgery. There has been a lot of excitement in oculoplastic surgery recently. New surgical techniques, many of which are less invasive, new cosmetic tools with particular utility around the eyes, and new team approaches have fueled the excitement. The aging baby boomer population has increased demand for cosmetic procedures; the ability to work outside the traditional insurance system has added momentum to the interest and curiosity of ophthalmologists. 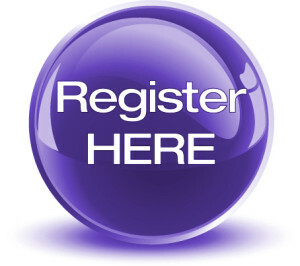 Indeed the accreditation given to American Society of Ophthalmic Plastic and Reconstructive Surgery by the Accreditation Council for Graduate Medical Education will ignite the debate over sub-specialty board certification for ophthalmic plastic surgery. Pediatric ophthalmology is a sub-speciality of ophthalmology concerned with eye diseases, visual development, and vision care in children. The pediatric ophthalmologist has additional training, experience, and expertise in examining children, and has the greatest knowledge of possible conditions that affect the pediatric patient and his/her eyes. Neurologic development of vision occurs up until approximately age 12 years. Misalignment of the eyes (strabismus), uncorrected refractive error (myopia, hyperopia, and astigmatism), and asymmetry of refractive error between the two eyes can negatively affect this development. If these conditions are diagnosed and treated early, good vision can develop and can be maintained. Certain diseases elsewhere in the body, such as diabetes, can affect the eyes, and the pediatric ophthalmologist addresses these, as well. Right when the eyes lenses get the opportunity to be shady, Cataract evacuation is for the most part supported and in this way Cataract surgery like Cryoextraction is performed. In Cataract surgery, the lens inside the eye that has wound up shady is removed and supplanted with a mimicked lens (called an intraocular lens, or IOL) to restore clear vision. The system routinely is performed on an outpatient start and does not require an overnight stay in a center or other thought office. Most present Cataract surgery integrates the usage of a high-repeat ultrasound device that segregates the cloudy lens into minute pieces, which are then carefully removed from the eye with suction. The up and coming Refractive Surgery Conference may likewise concentrate on Cataract surgery as this is the most broadly recognized eye sickness everywhere throughout the world. If you have a refractive error, such as farsightedness (hyperopia), astigmatism or presbyopia, refractive surgery is a method for amending or improving your vision. There are various surgical procedures for correcting or adjusting your eye's directing ability by reshaping the cornea, or clear, round dome at the front of your eye. Other procedures involve inserting a lens inside your eye. The most widely performed type of refractive surgery is LASIK (laser-assisted in situ keratomileusis), where a laser is used to reshape the cornea. The retina is a thin layer of tissue on the inside back wall of your eye. It contains millions of light-sensitive cells and other nerve cells that receive and organize visual information. Your retina sends this information to your brain through your optic nerve, enabling you to see. Retinal degenerative disorders such as Age-related macular degeneration and Myopic macular degeneration affecting young and old from many cultures, races and ethnicities. The central area of the retina contains a high density of color-sensitive photoreceptor cells called cones which are responsible for color vision and hence any defect and alteration in the central area of the retina will lead to Color vision defects. On the other hand diseases like Diabetic retinopathy and Retinal tumors can also be responsible for the permanent vision loss if it is not treated on time. Historically, retinal disease has had a low priority in prevention of blindness programs in developing countries. There are several reasons for this. 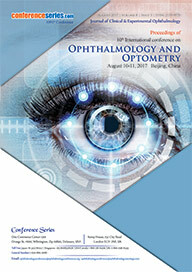 Firstly, it was thought that retinal disease was an uncommon cause of blindnesshttps://oculoplastic.ophthalmologyconferences.com/ in the developing world; secondly, that the results of treating retinal disease did not justify the effort and expense involved; and, thirdly, that the equipment required was too costly and unreliable for use in a developing country environment. Finally, there is a lack of skilled personnel with sub-specialty training in retinal disease. John Hopkins School of Medicine, UCSF School of Medicine, David Geffen School of Medicine and Mayo Medical School are the leading institutes associates with ophthalmology. 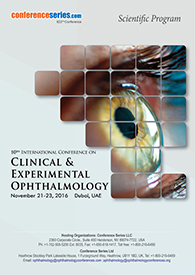 Neuro ophthalmology is the speciality that deals with ophthalmic diseases with neurological problems and various optic nerve disorders. We use almost half of the brain for vision-related activities, including sight and moving the eyes. Neuro-ophthalmology, a subspecialty of both neurology and ophthalmology, requires specialized training and expertise in problems of the eye, brain, nerves and muscles. Optometry is a social insurance calling that practices on the eyes and related structures, and vision, visual frameworks, and vision data handling in people. Optometrists (otherwise called Doctors of Optometry or Ophthalmic Opticians relying upon the nation) are prepared to endorse and fit focal points to enhance vision, and in a few nations are prepared to analyse and treat different eye sicknesses. Optometric doctors and optometry-related associations communicate with legislative offices, other social insurance experts, and the group to convey eye-and vision-care. Ophthalmic Oncology is a highly specialized and niche facility offering expert care in the treatment various cancerous tumours of the eye and surrounding structures. The commonest tumour of the eye occurs in children and is called ‘Retinoblastoma’. The second most common intra-ocular tumour treated is Choroidal Melanoma which largely occurs among adults; it has advance facilities and expertise in procedures such as Transpupillary Thermo Therapy, Brachytherapy, Local Tumour Resection in the form of Eye Wall Resection for effectively treating this condition. The orbit (eye socket) is the cone-shaped bony cavity in which the eyes are situated. It is padded with fatty tissue and contains eye muscles, nerves, glands and cavities, all of which play important roles in eye function and health. The eye socket can be affected by a range of orbital disorders, including inflammation, tumors, systemic diseases, congenital disorders and physical injuries. Orbital fractures are cracks or breaks in the facial bones surrounding the eye. Certain fractures of the orbital bone beneath the eye known as blowout fractures can lead to a range of complications and vision impairment. Severe orbital fractures may require surgical intervention, which involves reconstruction of the orbit. Orbital tumors are abnormal growths that vary in size and severity and can be either benign or malignant. The most common symptoms of orbital tumors include inflammation, double vision, discomfort and bulging of the eyeball. At Delray Eye Associates, P.A., we offer specialized treatment for orbital tumors, including orbital surgery and referrals for adjuvant therapy. Thyroid eye disease, also known as Graves’ disease, is the most common orbital disorder. It is an autoimmune condition that occurs as a result of impaired function of the thyroid gland. The disease may vary in severity and last several months or years. The most common side effects of thyroid eye disease are eyelid retraction, double vision and protrusion of one or both eyes. Treatments for thyroid eye disease include lubricating eye drops, medication to reduce the orbital inflammation, prisms, and eye muscle and eyelid surgery. In extreme cases, a procedure known as orbital decompression may be performed to reduce bulging eyeballs. Anophthalmos (loss of one or both eyes) can be caused by a variety of factors, including traumatic injury and eye cancer. It is also associated with a congenital disorder in which the orbital tissue development has been impaired, leading to the complete absence of an eye. Individuals who suffer from anophthalmos are often faced with a range of problems, including blindness and physical disfigurement of the eye and eyelids. Dr. Kronish specializes in surgery involving reconstruction of the eye socket and prostheses to restore a more natural appearance.